When you are thinking of trying to conceive, you have to think about preparing your body to hold that precious little one. Getting your body prepared often means taking prenatal supplements and making changes to your diet. But what about your partner? Well, finally there is a prenatal supplement for men. 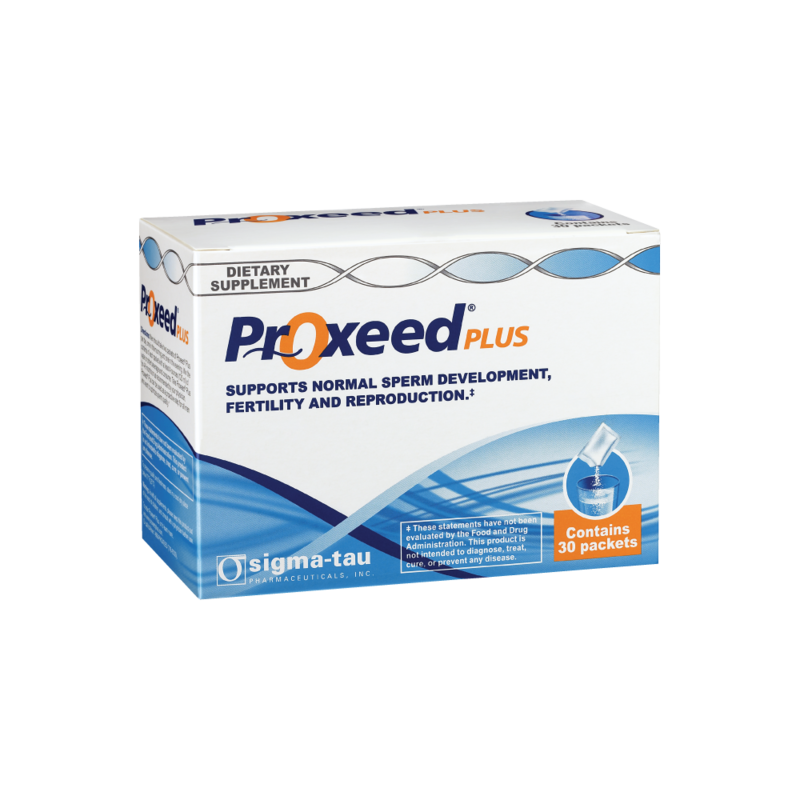 Proxeed Plus is a patented prenatal male fertility supplement that can help support reproductive system and sperm health prior to trying to conceive. You can see the whole video series here! So many women feel that preparing for pregnancy relies completely on them, but it just isn't true. Men play a huge role, too! Although they may not be carrying the baby, their sperm needs to be healthy and strong to ensure a healthy child. After all, half of the child's DNA will be coming from that single sperm that wins and fertilizes that egg! We have been very blessed to not have any issues conceiving, but we do want the healthiest child we can have, so a male supplement is something that even we can benefit from. Did you know that a man's sperm health starts to decline around age 25? Proxeed Plus is a twice daily supplement in powder form that you add to a drink. It has a light lemon flavor, and I was told it was best in a sports drink rather than water. For maximum benefit, Proxeed Plus should be taken for about six months before trying to conceive. You can purchase Proxeed Plus online, from the comfort and privacy of your own home, without the need for a prescription.